In 2006, two Idaho teens murdered 16-year-old Cassie Jo Stoddart, claiming the movie Scream inspired them to kill their friend. Brian Draper and Torey Adamcik, both age 16, attended Pocatello High School with Cassie Jo. The teen boys entered the premises where Cassie Jo was house-sitting and reportedly stabbed her approximately 30 times. Investigators discovered Draper and Adamcik had recorded a video of their plan to murder Cassie Jo, as the teens boasted a passion for cinematography and movies. Historically, court cases have linked films to murder and mass shootings. At the trial, Adamcik alleged the popular 1996 slasher flick cemented their idea to kill someone. While there are other accounts of teens who killed their friends, the motives for such murders vary. Often, there is no apparent reason these killer teens turned on a friend, such as in the cases of Skylar Neese and the Clear Lake murders. In other instances, teens kill out of alleged jealousy or bigotry, such as in the murder of Shonda Sharer. Allegedly, Draper and Adamcik killed Cassie Jo to obtain fame and notoriety. In 2007, Idaho state juries convicted both teens of first-degree murder and sentenced them to life in prison. Prior to killing Cassie Jo Stoddart, high school juniors Brian Draper and Torey Adamcik filmed themselves discussing the murder. Portions of the video exist online - including footage of Adamcik saying "there should be no law against killing people." Later in the video, he mentions how he's "horny just thinking about [killing Cassie Jo]." The teens reportedly likened themselves to Ted Bundy, the Zodiac Killer, and the Hillside Strangler. 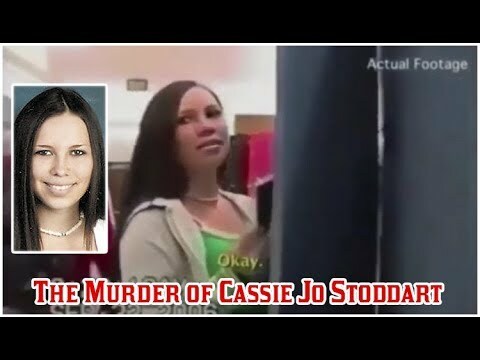 Draper and Adamcik, who proclaimed a passion for film, produced multiple incriminating videos regarding the murder of Cassie Jo. In 2017, the Supreme Court released the transcripts of the videos. On September 22, 2006, Cassie Jo was house-sitting for her aunt and uncle, Allison and Frank Contreras, in their Whispering Hills home. Two of Cassie Jo’s friends, Draper and Adamcik, showed up to hang out with her and her boyfriend, Matt Beckham. Reportedly, they all started watching a movie before Draper and Adamcik said they would rather watch a movie at a theater. The teens acted as though they left, and shortly thereafter, the house's power went out. When Beckham left for the evening, unable to spend the night, Draper and Adamcik returned. Adamcik later alleged to police he and Draper stopped at the house for a party that didn’t happen and immediately left to go to a movie theater. During the interview, Adamcik was unable to identify which movie they allegedly went to see on the night of the murder. After Cassie Jo’s boyfriend left, Draper and Adamcik re-entered the home wearing masks and turned off the power again. Reportedly, the two killers planned to wait in the basement for Cassie Jo, hoping she would inadvertently play into their slasher movie fantasy and walk downstairs to check the breaker box. When Cassie Jo did not enter the basement, the duo went upstairs to the livingroom. They then stabbed her 30 times with two knives. The autopsy later showed approximately 12 of the stab wounds were fatal - 11 of which came from one knife. After the murder, Draper and Adamcik left the Whispering Hills residence and continued to film their reactions as they drove away. Draper:—just killed Cassie! We just left her house. This is not a f*cking joke.